You watched the TV programme and you bought the book but is your house still a bit dull round the edges? This work helps you with various tasks of a domestic nature. It features tips and tricks and uses natural products where possible. You watched the TV programme and you bought the book but is your house still a bit dull round the edges? 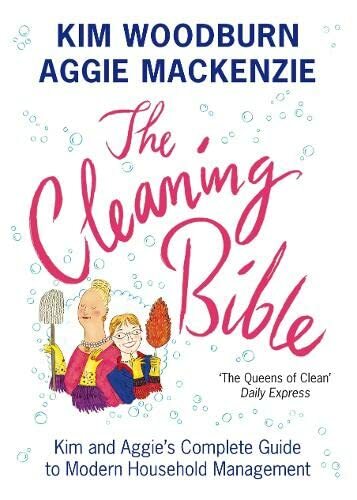 It is time to get Kim and Aggie round to do the spring cleaning - their ultimate Cleaning Bible is the only helping hand you need for all tasks of a domestic nature. Every tip and trick from their combined cleaning experience of about half a century is included, and they always use natural products where possible so even your conscience will be clean. Make a space next to Delia and Jamie and welcome Kim and Aggie to your domestic bookshelf!